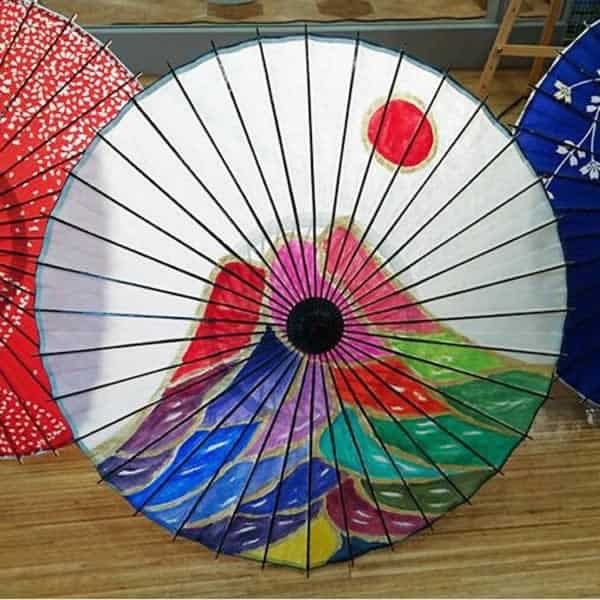 The water used for the paint is all miraculous water from shrines. 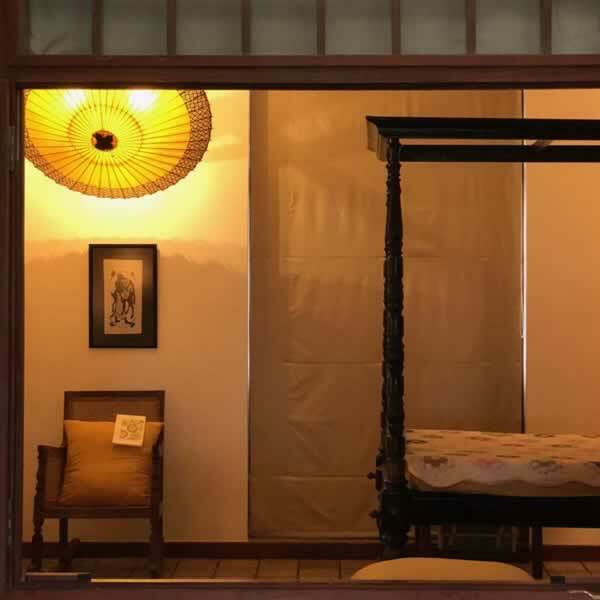 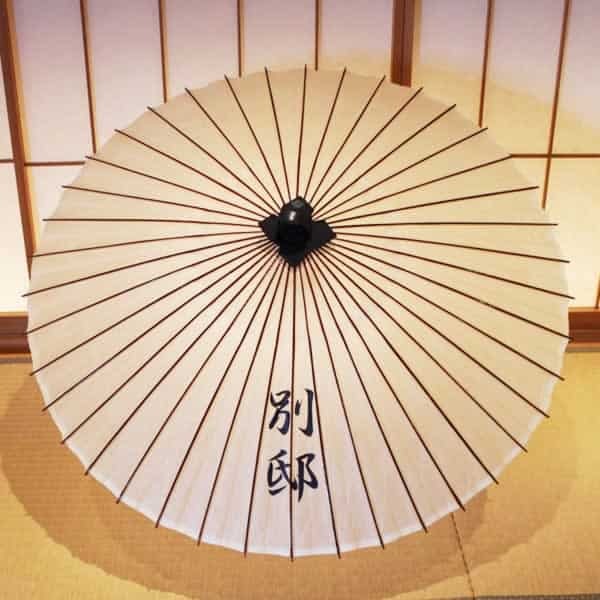 Yutaka Murakami studies shrines and temples and creates artwork from his own original perspective, and has gathered many fans who are enthralled by his artwork which they believe brings good fortune. 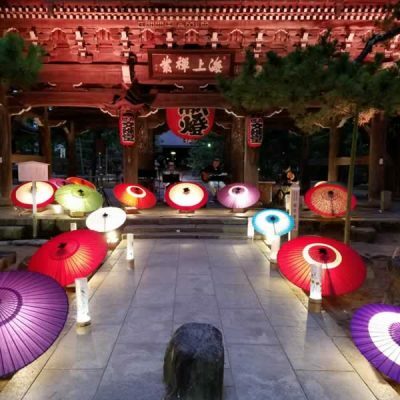 He was commissioned by Nishinomiya Shrine in Hyogo Prefecture to create artwork using the character for “Luck” to be presented to the “Lucky Man” who won the “Lucky Men” race. 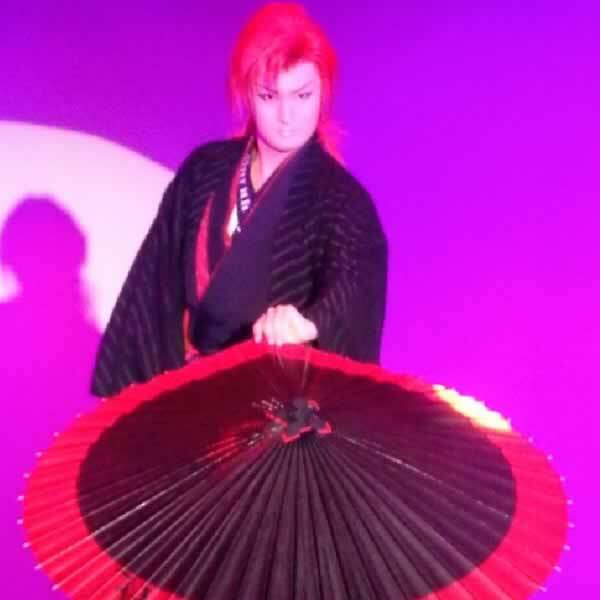 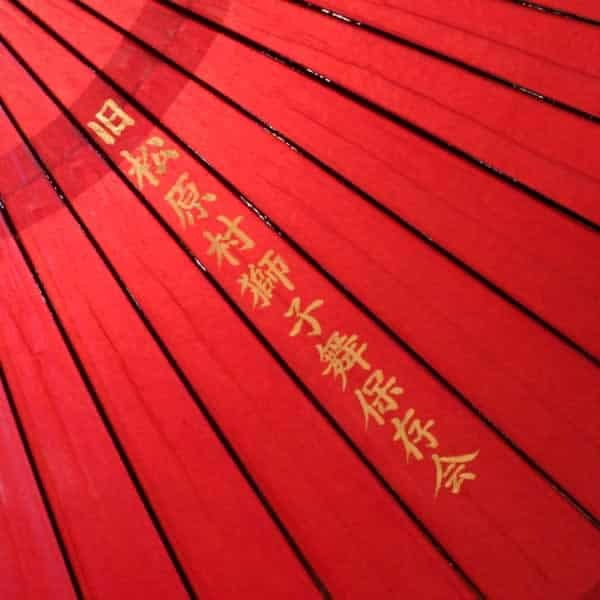 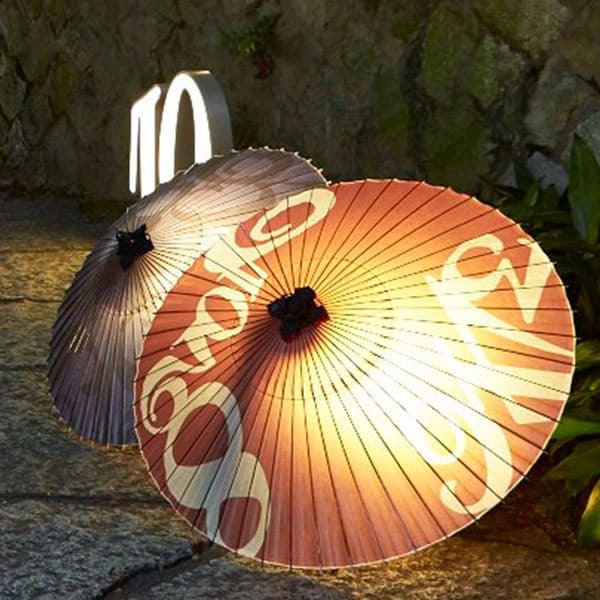 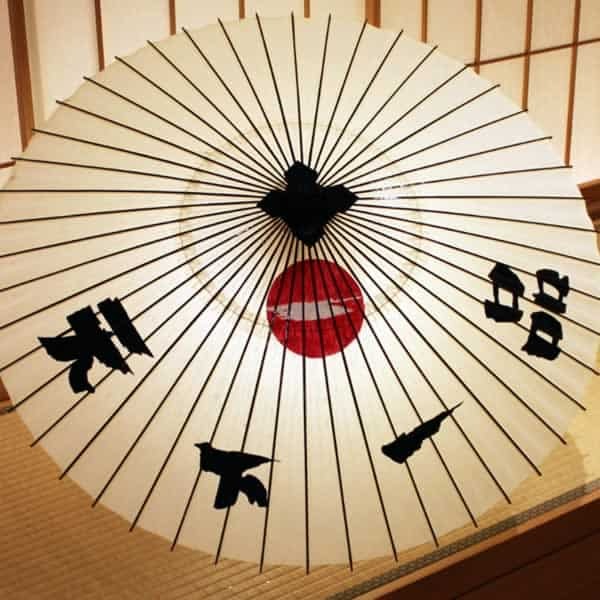 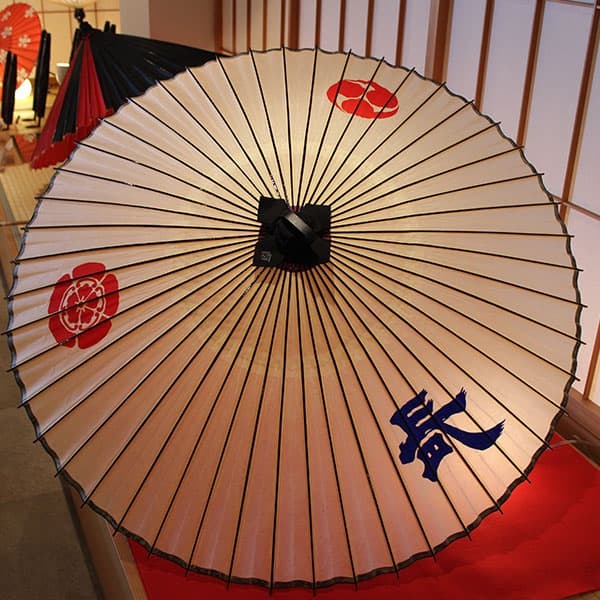 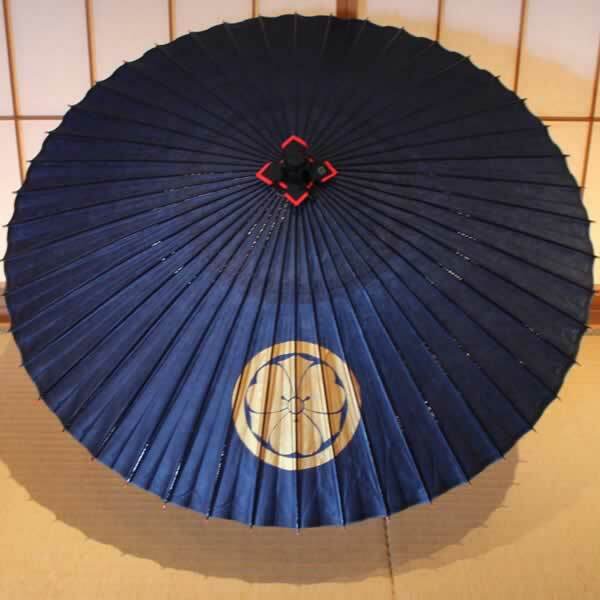 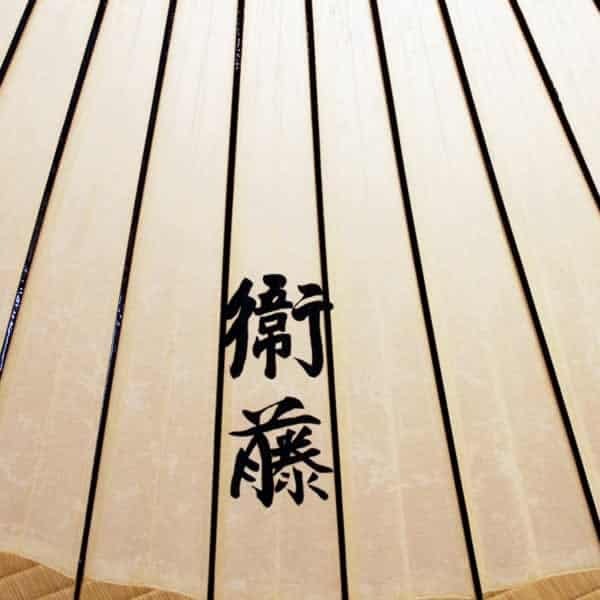 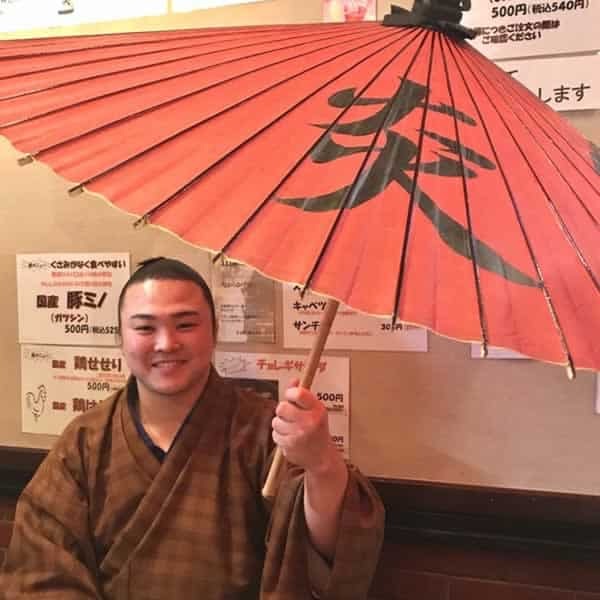 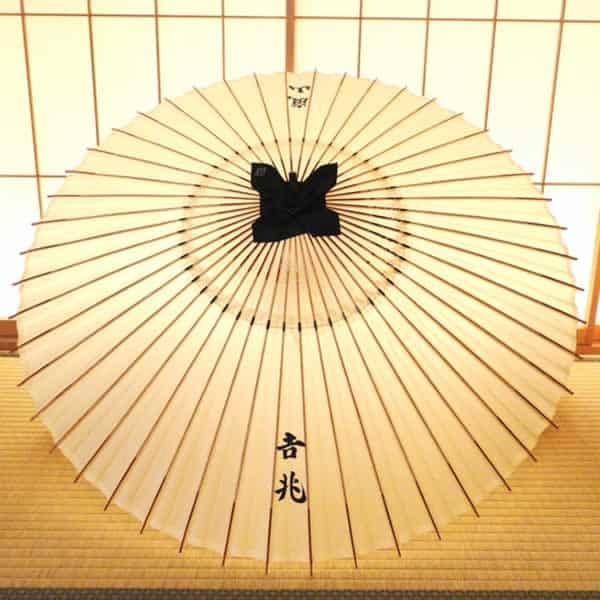 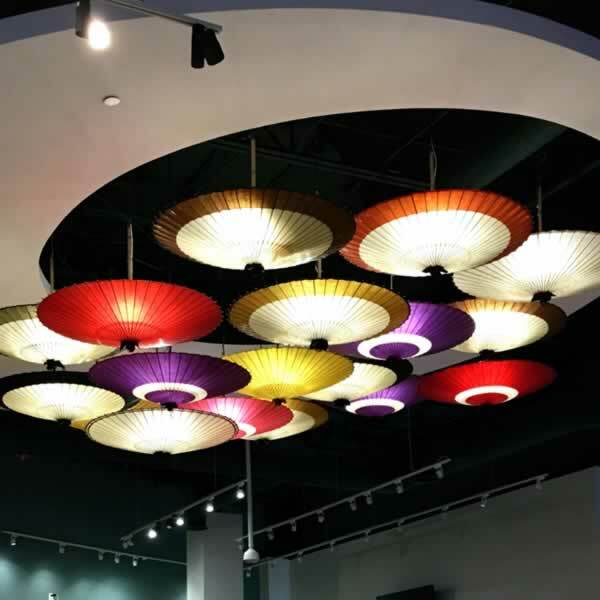 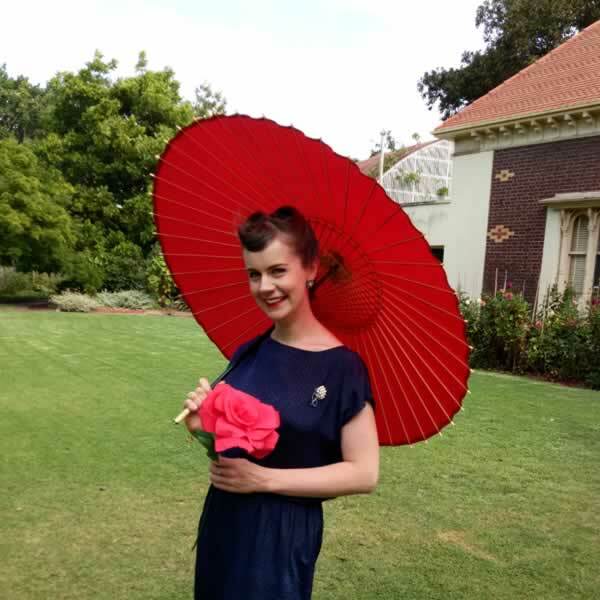 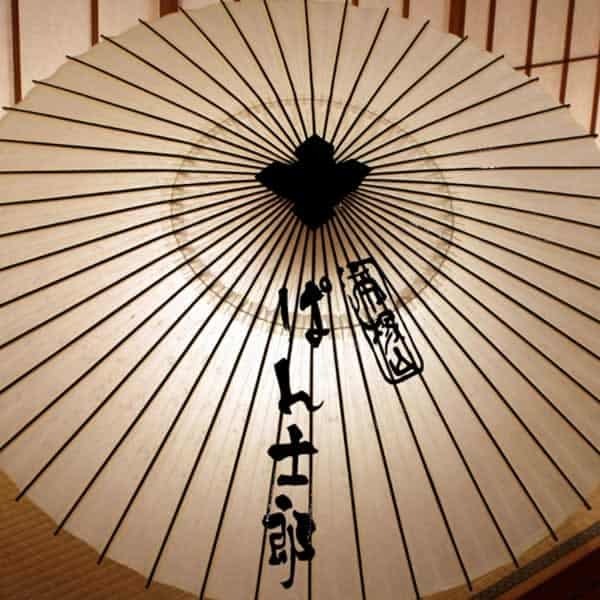 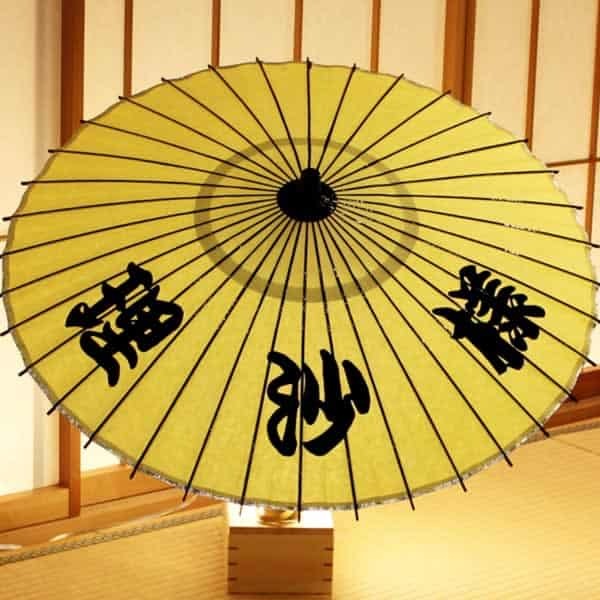 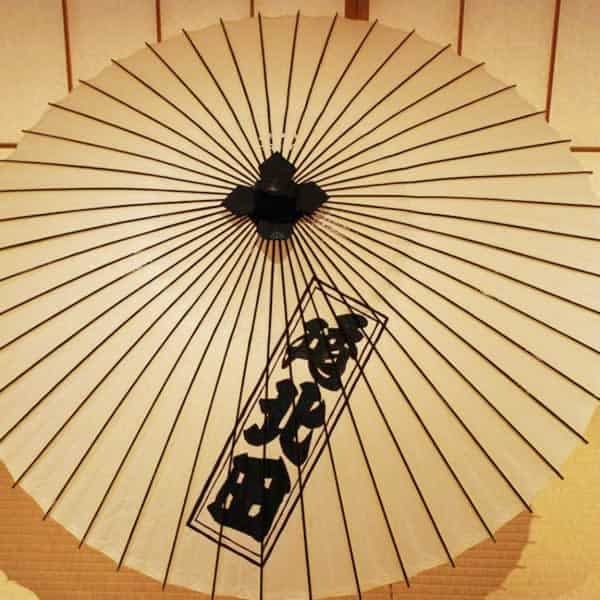 “Master one, master all” is a motto that also relates to Japanese umbrella creation. 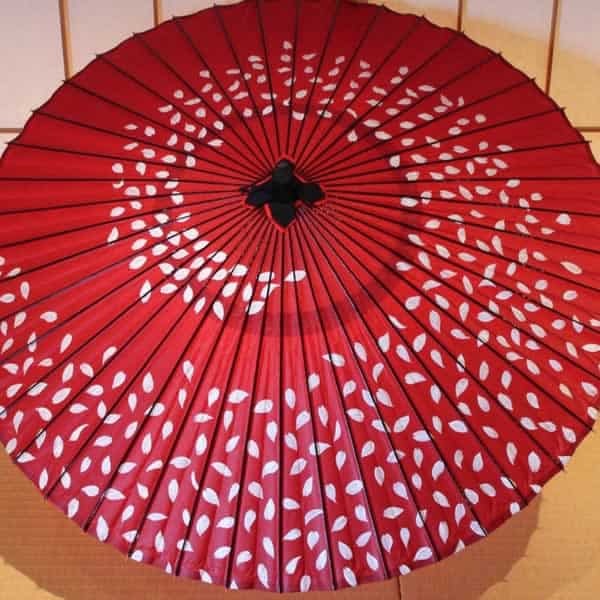 We are most honored to have our High Quality Paper Parasol chosen by an artist such as Yutaka Murakami as the material for his artwork.